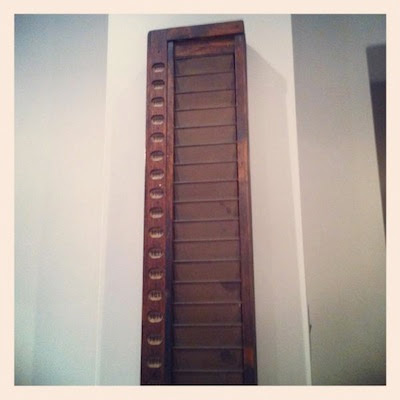 "Waited a long time to find one of these and finally got one @Vintage_Village !" 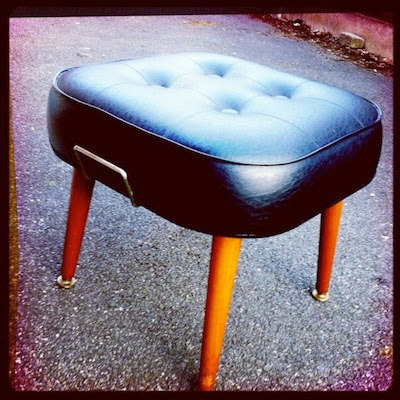 "Thanks @retrocedric for this wonderful stool we got while at @Vintage_Village, perfect weather and items! X"
"Just back from a good hunt @Vintage_Village. 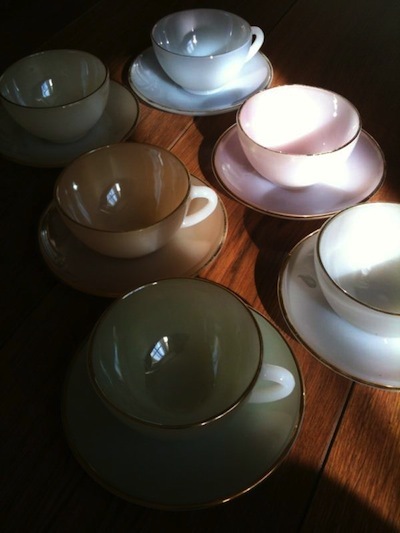 Couldn't leave without pastel coloured teacups and saucers obviously." 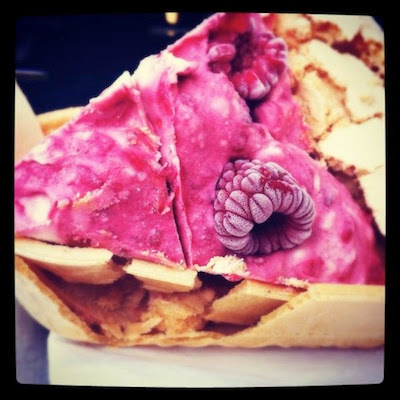 "Thanks @GingersComfort for the lovely pavlova while at @Vintage_Village today! X"
"The perfect 40s striped blouse from Grandma's Attic @Vintage_Village @SalfordMuseum yesterday." Visitors found plenty of items of interest at our Salford Museum & Art Gallery Pop-up Fair, and that wasn't just the incredible paintings, sculptures and photographs on show in the galleries, we're pleased to report. Here's where we provide pictorial evidence of a few of the treasures our Vintage Village browsers have gathered, kindly shared by them online via the power of Twitter! Click on the photos for their original source page, and the Twitter names to meet some of our esteemed Vintage Villagers. 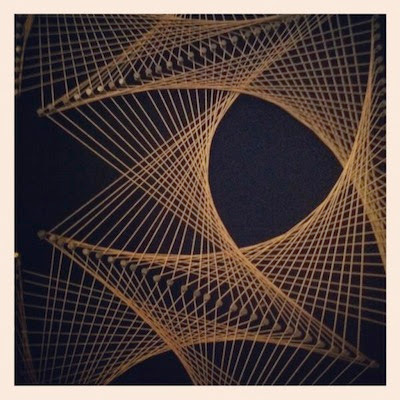 Our fulsome thanks to everyone who has contributed - we LOVE seeing all your finds! 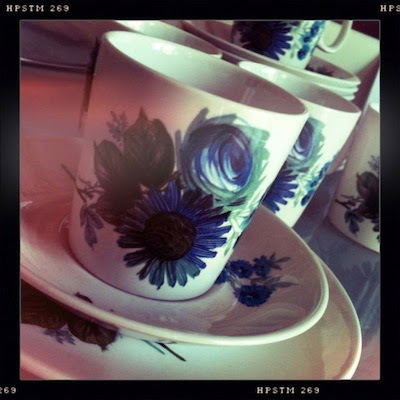 "Amongst other things I bought this lovely teaset at @Vintage_Village today. Surely demands a tea party fairly soon?" 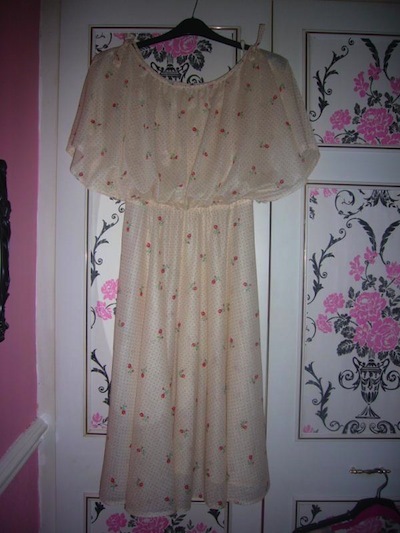 "Look at my vintage floaty summer dress purchased today @Vintage_Village @SalfordMuseum What a lovely day was had!" 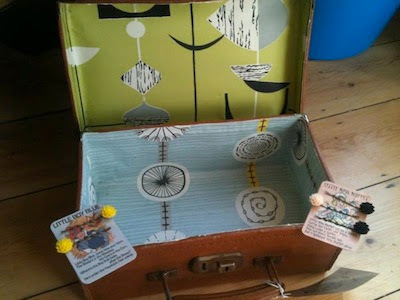 "Good times @Vintage_Village Salford today. Here are my buys (not shown: heavenly ice cream from @GingersComfort)"
"Clocking in @retrocedric style @Vintage_Village."